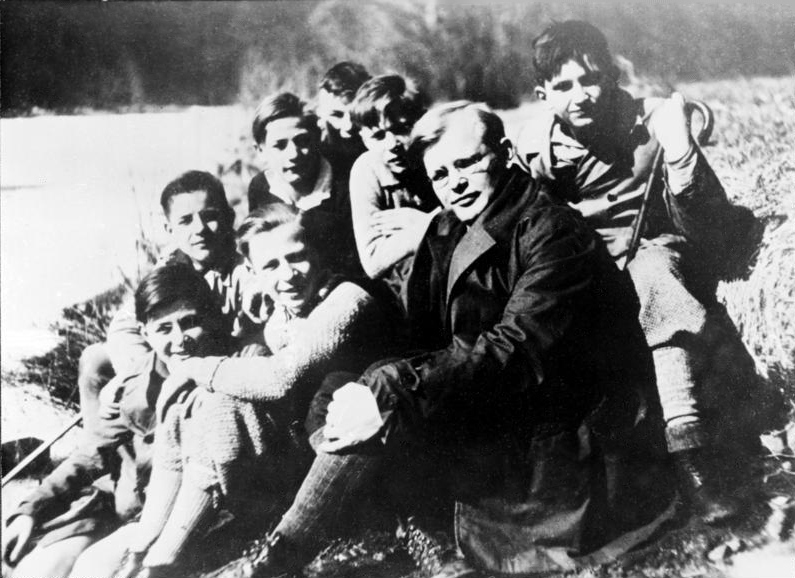 You are here: Home / We are Gulag Bound / *Resisters' Log* / 40 Days with Dietrich Bonhoeffer, Subscribe with Me? He may have been given us even more for the 21st Century than for the 20th. I remember reading his book, as vital here and now as it was in Germany in 1937, The Cost of Discipleship. I caught it in snippets riding busses and el-trains back and forth from northwest Chicago to Oak Park. At twenty-three, I was fresh out of school and trying to make a living during the post-Carter recession, trying my hand at the honest version of personnel recruiting. I cannot recite any of it, but I remember my main reaction, because it remains with me: there is a man who got it, who else can get it? Please don’t think me egotistical as a result. It is so not about me (nor Dietrich). Here is our opportunity to get it in increments over forty days, just a bit at a time, by email. I am going to do it. Would you like to join me? If so, maybe we can even bookmark this post and share some comments below, eh? On June 1, we’re launching a 40-day devotional journey through the writings of the famous theologian and martyr Dietrich Bonhoeffer. Sign up to have each reading emailed to you! Here are a couple brief introductions to the man. After the singular, incomparable and potentially, individually, ultimately transformational sacrifice of One, brother Dietrich became one of the many heroes who have, frankly, died for you and me. One may wish to give them both some time in this way, in return. One of my favorite media dudes, Scott Ross interviews Erick Metaxas, also an excellent down-to-earth communicator and author of Bonhoeffer, Pastor, Martyr, Prophet, Spy. Interestingly enough, our German exemplar can also be said to be a pilgrim to America – and to a black fellowship in New York City, Abyssinian Baptist Church. In addition to numerous books and documentaries, or portions thereof, at least one movie has been made about him (non-spoiler excerpts in what appears to be a third party “trailer”) also a one-man play. The Internet has also brought us a dbonhoeffer.org and a bonhoeffer.com. It isn’t so much about German Nazis, nor 21st Century globalist Marxofascism. It isn’t about gaseous intellectual challenges to the cruel gritty world, nor vice versa, nor maudlin sentiments of experiencing even our gravest earthly terrors and tragedies. It is about the rock of the confession of one faced up with God. Come see what the next forty days bring. Metaxas effectively admires Bonhoeffer which is why his fawning, non-Bonhofer-esque performance at the National Prayer Breakfast is confusing.